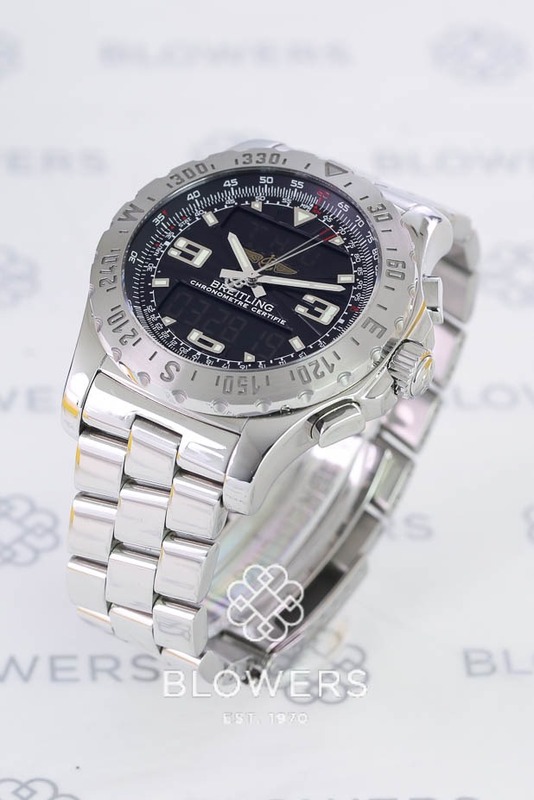 Breitling Airwolf A78363. 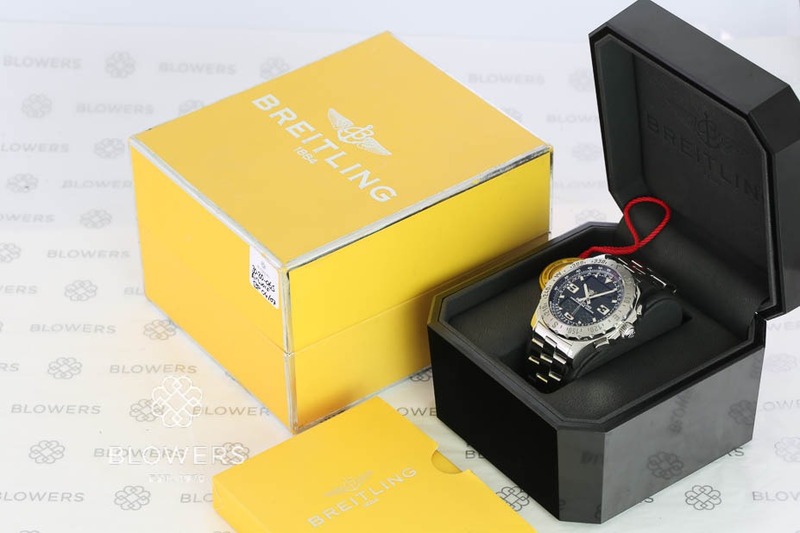 43.5mm diameter case, which is water resistant to 50 meters. 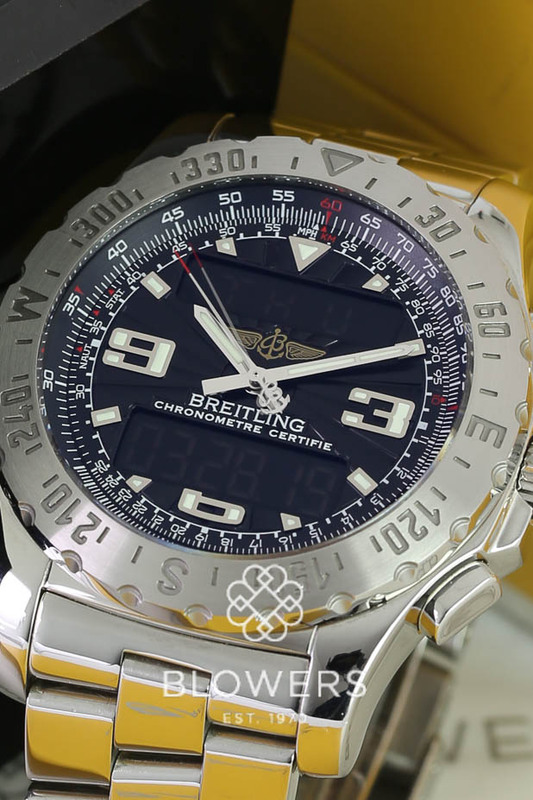 Quartz Breitling caliber 78 movement. Black dial with index and Arabic hour markers. Analogue and 12/24 hour LCD digital display, display backlighting NVG compatible, EOL indicator. Chronograph, 1/100th second, records up to 99 days, 23 hours 59 minutes and 59.99 seconds with split times. Digital perpetual calendar. 2nd time zone and countdown timer. 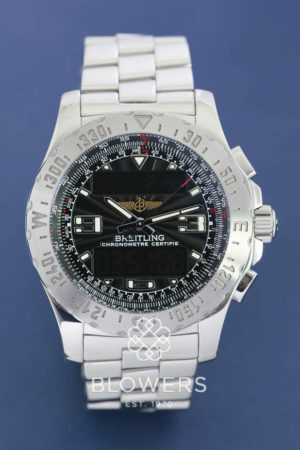 Bi-directional slide rule bezel with compass scale. 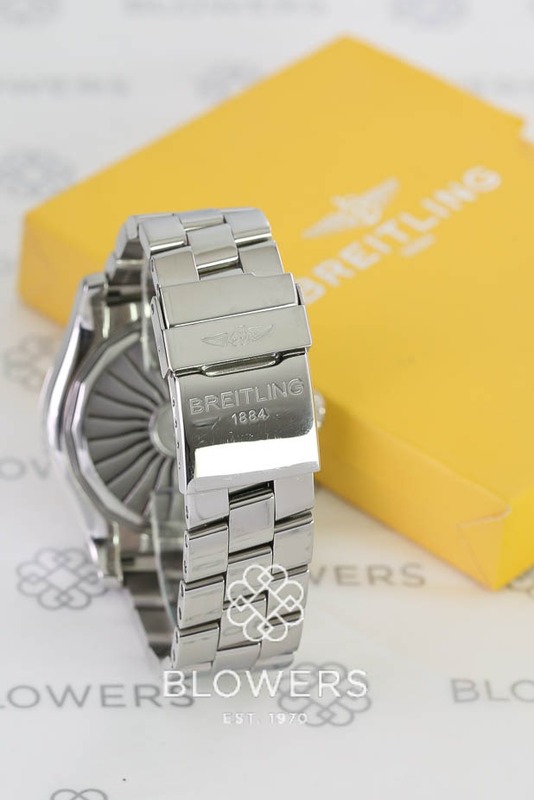 Polished Steel Professional 2 bracelet. Box and papers dated April 2007. SKU: 3020065. Categories: Breitling, Professional.